Year 5 and 6’s trip to Bushcraft this year was a challenging but deeply rewarding one. Upon our arrival at the camp in Penshurst, the children were immediately enthralled by the beauty and interest of the woodland. A chance to unpack and explore this beautiful place. Camp-craft was first on the agenda for the afternoon – the children learning how to build their own shelters to survive in the wild. I was extremely impressed by just how many of them took the option of sleeping out in the shelters! Day two started as it meant to go on – wet! The Bushcraft staff did a brilliant job of keeping spirits up with a day packed with activities. Learning to find clean water in the wild is one of the most important skills needed for survival – the children learned to dig wells, gather water by evaporation and transpiration. Water purification using filtering and chemical cleaning completed the challenge. Lunch was a camp cooking lesson, involving panassing a salmon, and the now famous fish-eye challenge. Evelyn, Finlay Yianni, and Maya took up the challenge – Finlay winning by eating his in a matter of seconds, though closely followed by Evelyn. Thursday dawned with some much-needed sunshine, allowing us all to dry out. Until the pond swimming of course – the children all enjoyed their first open water swim, in a pond that looked and sounded (given some of the squeals!) a little chilly! Knife skills and fire building completed the day’s activities – fires proving something of a challenge given the still rather damp conditions! The day finished with ‘tribes have got talent’ – some interesting and definitely entertaining performances around the campfire, finished off with hot chocolate and marshmallows. The final day brought the children the opportunity to show off all the skills they had learned in the bushcraft challenge, along with some new ones in trap building and camouflage. 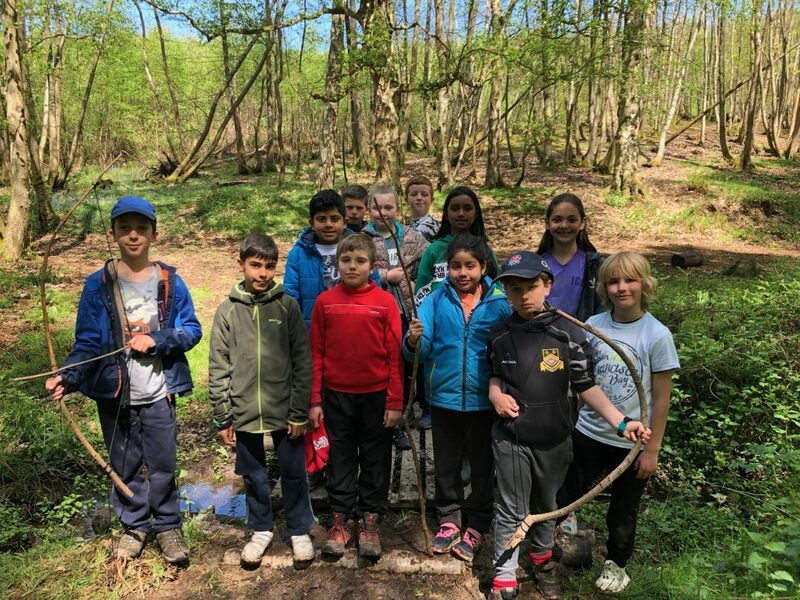 Bushcraft this year was an extremely rewarding trip – the children learned some invaluable new skills and showed enormous resilience, curiosity and above all great teamwork!